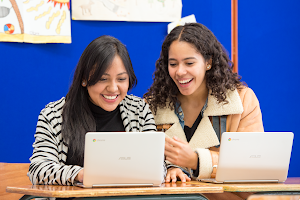 Today is Teacher Appreciation Day, or Día del Maestro, in Mexico, where 30 GEG (Google Educator Groups) leaders are at the helm of the movement to transform education through technology in Latin America. Our Mexican GEG leaders empower their fellow teachers to harness tech to meet students’ needs. We are amazed at the innovative and inspiring ways these teachers and leaders are building their movement across Mexico—from Guadalajara to Mexico City to Monterrey. In Quéretaro, Nay Belaunzaran thought up an idea to scale the impact of tech across generations by mobilizing children to teach their parents about the internet. Under Nay’s leadership, primary school students prepare classes for their parents about G Suite for Education where the parents learn to jot their thoughts down in Docs, build presentations in Slides, and communicate with teachers through Google Classroom. Galvanizing students to bridge the generational tech literacy gap has made it easier for parents to stay engaged with kids’ schools. 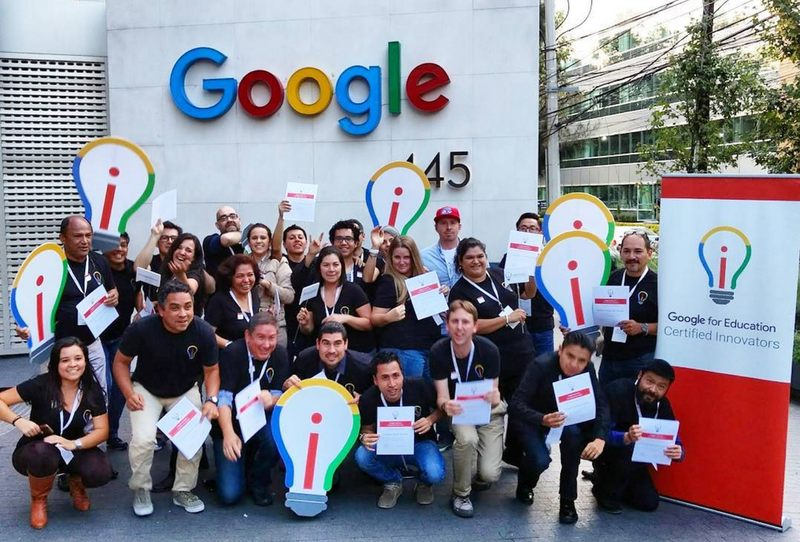 Nay connected with fellow teachers from all over Latin America at last year’s Google for Education Certified Innovators Summit in Mexico City. In Tijuana, Gabriela Torres Beltrán has paved the way for dozens of her students to become Google Certified Educators themselves. By building a community of future teachers who keep innovation and technology top of mind, Gabriela is making her mark on the future of education in her community. 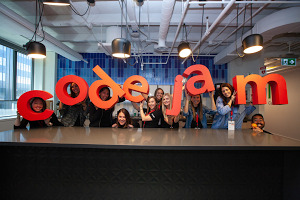 “Seeing the smile of satisfaction on their faces as they explore ways to implement technology in class is extremely inspiring,” she shared with an inspired smile of her own. Verónica stays after class on most days, providing extra support for students whose curiosity extends beyond school hours. In Verónica Nuñez Loyo’s classroom in Mexico City, students find themselves at the intersection of traditions of the past and technology of the future. She challenges her middle schoolers not only to research the history of Mexico, but to leverage the internet to share their learnings. Recently, Verónica’s seventh grade class collaborated to create a multimedia presentation about the Axolotl, an endangered amphibian species endemic to Baja California. Technology was at the heart of the project, whether students were exploring the Náhuatl origin of the word “Axolotl” or investigating how portrayals of this “walking fish” have changed over time. These are three of many educators who work tirelessly to ignite curiosity and give life to the ideas of Mexico’s rising generation. Which teachers inspire you? Today—and everyday—join us in celebrating the educators who dedicate their lives to working with students to create a more connected Latin America. #GraciasALosProfes.